Brookdale Christian Center - My story ! Welcome to "my story". Our lives are unique and contain great moments. I write my story primarily for my children, relatives and friends. Enjoy. 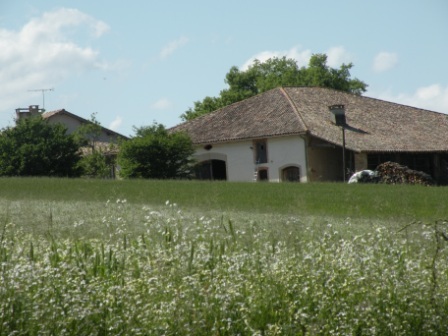 I was born in the South of France, in Occitanie, in Bas Quercy. I saw the light in an isolated farm, the "Plo", in the middle of the woods, farm acquired through great sacrifices by my paternal grand father. 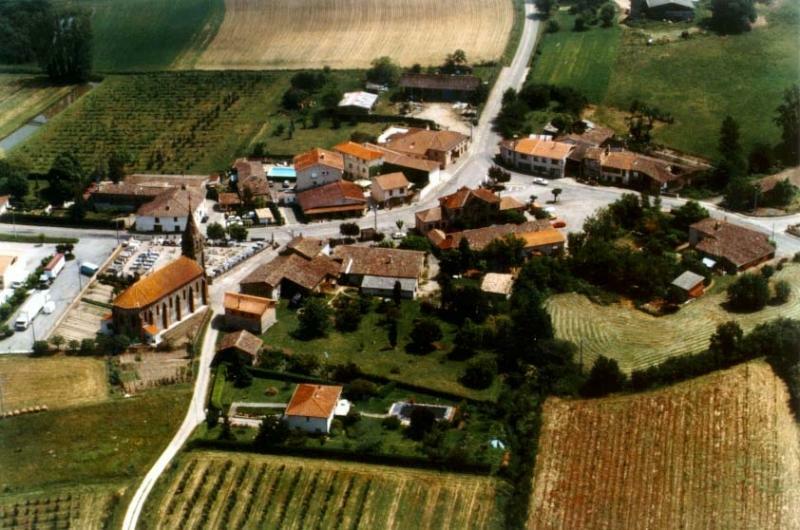 As soon as I was old enough, I attended the village public school, in a small hamlet, called "Vaissac". Located in the valley of the Gouyre, the village was clustered around a Church, a Town Hall also used as a school, a convenience store, a bakery, a black smith, a carpenter, an electrician, and a restaurant. I worked hard as a kid, helping my partially paralyzed grand mother do the cooking, keeping watch over the herds, gathering in the potatoes, etc. in other words the many chores in the small farmlands of the 1950's. I went to grammar school in a boarding school in Caussade. Then I attended high school in Montauban where I graduated. Later on I attended a private American College now Continental Theological Seminary. It used to be called Continental Bible College. I graduated with a Certificate in Theology. 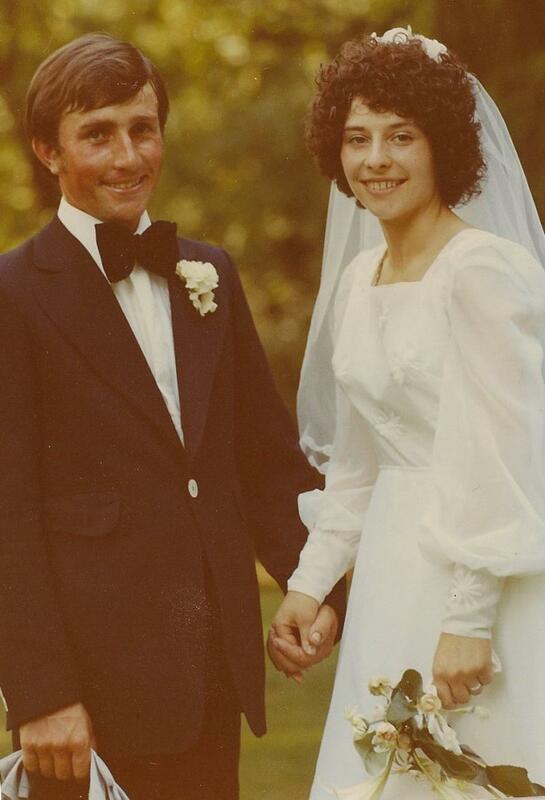 I met there my future spouse and a few years later visited the US where we got married. From there we went back to France to serve as pastors in the Assemblies of God of France, in Montauban, Cahors, Moissac, Perpignan, Villeneuve Sur Lot, and Albi. At the same time, I taught the theology of the Holy Spirit, the Minor Prophets, and pastoral counseling for 10 years in the French Thelogical Seminary of the Assemblies of God. In 1981 I regrouped 300 people and created a Christian and cultural local radio station, now called Espoir FM. 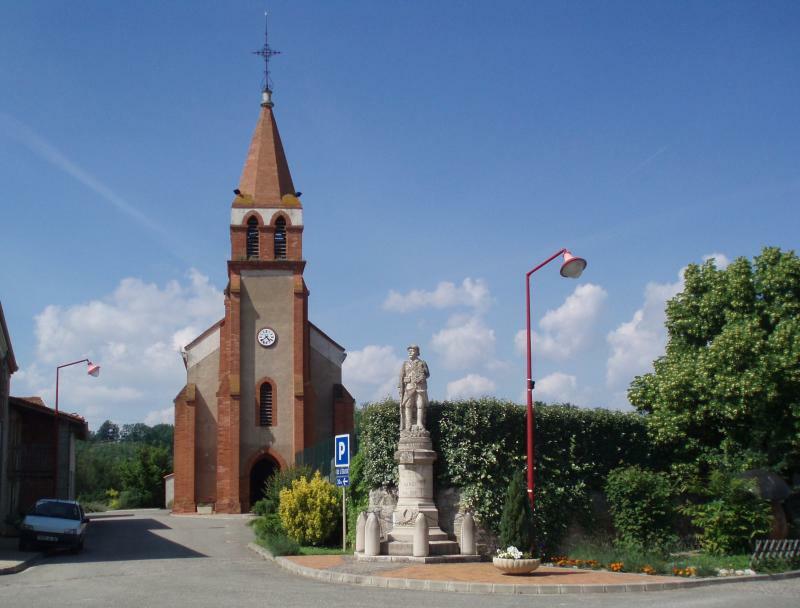 It broadcasts cultural and religious programs 24/7 in Lot et Garonne and on the internet. I now live in the US. I was an administrative clerk, then supervisor, and then manager for 9 years. I teach as a volunteer in our church the weekend. For 8 years I was involved on the internet in the evening coordinating a forum and chat rooms for the Top Chretien Francophone. I have three wonderful children, a girl and two boys who just got married and who all love the Lord. I am thankful to God for showing me I was a sinner one day in an Evangelical church during my teen years and granting me his salvation by faith after I confessed I that was a sinner and decided to believe in Jesus as my Savior and Lord. I was influenced in my childhood by many wonderful people. It started with my mother, my father, my grand-parents, and my older brother, our counsins living in the farm of Mailhac, on the East Hill; our various neighboring farmers, and the hire hands impressed me also. When I started going to school, two friends my age, the teacher and his teacher-wife had quite an impact on me. I should not forget to mention my uncle Paul from Paris and my cousins from Nègrepelisse, my mother's sister and her family. Our cousins from Albi and Toulouse would also visit in the summer, and spend their monthly vacation with or near us.They all spiced up our farming routine. My mother is an educated person. A "certificat de fin d'études primaires" in 1946 or so was called education in those days. She was born in the village, her dad was the black smith known for his ability to create any type of iron clad stuff: metal gates, ornemental pieces, etc. Mom did not go to the "Collège", understand High School because she had to stay home and work to help support her mother and three siblings. Her dad had left them to follow a gipsy lady who owned a carrousel and went from fair to fair. Heaven used this misfortune and made a hero out of my mother. She was on her way to work in the fields along with her own grand-mother when retreating German soldiers invaded our hamlet. They were searching for the "maquisards", the French resistance unit camped in the woods on my grand-father's property. She heard the roar of the trucks in the distance and ran to the village to sound the alarm so the men could escape. She almost got killed in the process. She tells how fleeing through a field with a girl friend from the village, they heard the bullets hissing over theirs heads in that wheat field. Most of the "partisans" warned early enough escaped, including my mother's brother. Un fortunaltely 6 were killed and burnt. 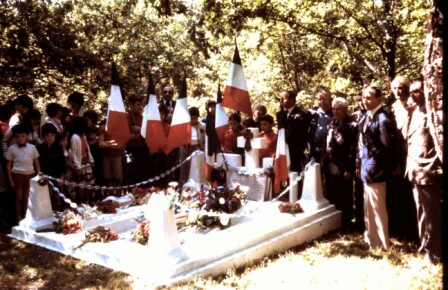 I took that picture in 1977 during a Commemoration of the attack of the maquis. 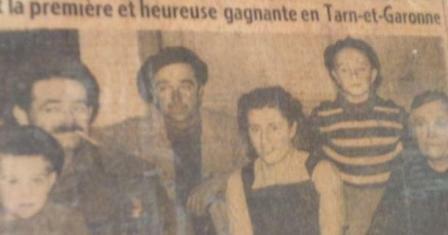 My father was a tall handsome young fellow looking like "Maurice Chevallier" the then famous singer. He enven wore a "cannotier', a hat "à la Maurice Chevallier", his mother had offered him. Strong, he chose to work in the fields, ploughing with the oxen when he turned fourteen. Later on he regretted not to have followed his mother's advice to go to high school. The way he encouraged me to go to boarding school made it clear - "don't be as ignorant as I am, get an education! "- I admired him greatly even though I did "fear" him a little too much. As his mother didn't either, he would not express his affection with words or hugs. He worked hard for us and we were supposed to get the message: "of course he loved us!" She too had a great impact on my life. She was paralysed. An emotianal shock, resulting from having succeeded in stopping a forest fire threatening to set the house aflame. We would have to help her go from the bed to the arm chair daily. While everybody else was working in the fields, and my older brother was in school, I would take care of her. We would cook lunch and dinner together. We used her wisdom and my energy. I can still hear her authoritative voice commanding me to "get the potatoes, wash them, boil them, etc." I nicknamed her behind her back "the general". I loved the stories she would tell me tough and all she would share about her mother Liza. Fervent catholic, she taught me the "fear of God", "the basic prayers", and to attend the village chuch on Sunday. From left to right: Myself, Grand-Father, Father, Mother, Brother, Grand-Mother. He was a candid guy, middle size , a little chubby, always wearing a "bérêt basque", a beret. 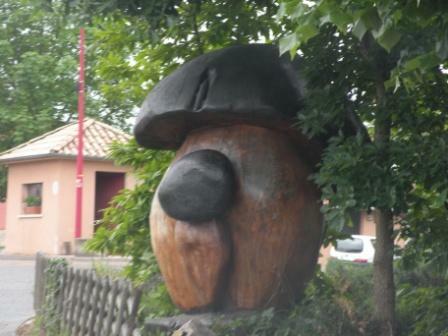 He was nicknamed "Monsieur Chanpignons", Mister Mushroom by the County Police Chief and the Press. He was named so in part for wearing such a hat and looking like a "cèpe", a mushsroom himself, but also because he defended harshly the rights of the forest owners to sell their mushrooms and regulate the access to the woods. Following the spring or fall rains, mushroom seekers would invade the forests and turn them upside down, using rakes at times, as if they belonged to them, just for the pleasure of picking their own "cepes", a delicacy in the South of France.He loved me alot and so did I ; I think I spent more time on his knees than on my dad's. He was my chauffeur; he would take me to school and back in his 2 Chevaux Citroen or later in his Juva 4 Renault. He would toogle taking me to school with going to the Town Hall to sign his papers; he was the Maire. "The Vaissac Mushroom (Le Cèpe de Vaissac ) weighs 1 ton, 2,000 pounds. Montbeton. 20 years ago it had to be felled to build a swimming pool; the owner was determined but what a pity! It took a trailer and a sturdy forest tractor with a crane to load it. The tree measured 2 meters in diameter and was 12 meters long. Once moved, It laid on the ground for 20 years in Genebrières. A decision was made to revive it and it became in the year 2000 the Vaissac Mushroom. Other wooden crafts were made out of the remaining lumber. Nice new fate for it and for our pleasure. José Forano, lumbar jack artist"
See it in thebottom right of the picture. "Mémé Mélie"; "Grama Mélie" for us. She fascinated me as a child for the very reason that she did not live on a farn as we did but in a "church". She lived in a church parsonage; she served the priest. What a joy the rare times we visited with her! I discovered Mr the priest back stage. He was a very nice fellow, he was like eveybody else to my surprise.After raising on her own, her four children, Emilie had found that job nearby Montauban. She remained there most of her life; at the end her children had the privilege to have her with them. She stayed with Gabrielle first and then with us; it was great to have her with us on the farm for her last years. "Pépé enclume", "Granpa Envil" was a great black smith and later on a merry-go-round runner after he left his family to live with a bohemian lady. I remember that tall guy, he impressed me. My brother was privileged to spend vacation time with him and run the carrousel. I wished I could have too but I was too young. My older brother was a very smart boy always "inventing" something. He created a radio with a "galene" stone, some wire, and a soup dish. We did hear a sound in the soup bowl! No wonder he ended up being an excellent auto mechanic. Trained at his uncle's shop and in school, he later on worked on sports cars and buses. My sister was a tom boy. My dad would take her with him on his tractor, on the truck. After going to the farming school she became a farmer and a lumber jack. Full of energy, she also worked as a school bus driver. For several years she created and animated radio programs on a local radio station. They lived in the "Mailhac" farm, right accross the valley, South-East of us. They had migrated from the "Aveyron", from Crensac, the coal mining region.Raymond the patriach, my grand-mother's brother smoked a pipe. He was also a good singer and played the violin.During a "dépicade", when the farmers get together to separate the grain from the straw at the end of the summer, they filled his pipe with motor oil. We had quite a laugh when he tried to start it and inhaled and inhaled till....he got an icky taste of car oil in his mouth.We helped each other at main occasions during the year where eight or ten farms would get together to chop down fire wood for the winter, or to harvest, or to pick up the grapes, or to remove the husk from the mais.Hard work for the men and women but real feasts for the children! Some thirty people would show up for around seven am for a collective breakfast. Hungry people who had fed the cattle very early and sometimes walked a mile or more to join the group.We would offer them soup, ballonni, "Roquefort" ewe cheese, sardines, etc. The so-called cousins from Negrepelisse were my mother's sister family. They would join us in the summer and help with the picking of the strawberries, the peaches, the prunes, and the pickles. For them it was a break from "city life". For us it was appreciated help and atmosphere. When people join together, there is laughter, conversations, fun added to hard work, and it does make a difference. Just hearing the expression "les cousins d'Albi" (our cousins from Albi) rang bells of joy and excitment in my child's heart. Their coming over brought a bowl of fresh air. They would laugh, make my grand parents and father laugh and thus relax the atmosphere. 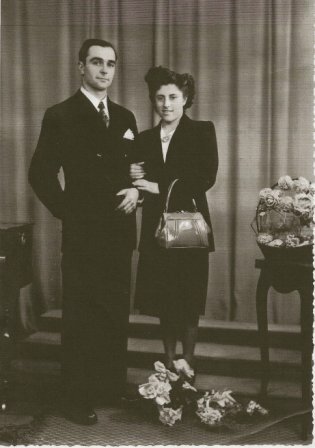 Virginie and her husband were my grand father's first cousins and would bring back their common childhood memories. Their daughter and her husband Albert were also happy people bringing over their good mood. It made us all forget our farming and forest hard work, give us breaks and relaxation. They usually would run to the farm at mushrooms season after the summer or fall heavy rains followed by sunshine that would favor the spontaneous growth of the "Cèpes", the portobellos of our Vaîssac forests. I was privileged to spend some vacation time with them in Albi. I remember, how on sunday, instead of working as we did on the farm, we would go fishing and picnic by the "Rance" river in the "Aveyron" region, where Albert was from. Even though I gave them a hard time because I would throw my line in the branches more than in the water, I treasure such memories. My cousins Agnès and Régis were great play companions. I was far from thinking, at the time, that I would later on spend 10 years in Albi, as Pastor of the "Eglise Evangélique". Among my fondest memories, are the times spent with my cousins from Toulouse. Uncle was a shoe maker, he was originally from Spain and had an "accent"; he would roll the rs as he spoked in very good French. His daughter Yvette was my age. They would come spend several weeks with us on the farm. They would stay in the old house called "les mouliques" located a fourth of a mile from our house.From the age of 3 to probably 8 or so they came every summer. Thye kind of camped in that old abandonned house at the time. Well the fire place was functionnal, the well, 30 meters deep, produced fresh delicious water. One had to crank the old wheel tu pull up the bucked let down till it was submerged into the water.They would eat their meals with us. I still rememeber the "big city" stories they would tell us. Playing with my cousin and her dolls was delightful. Later on her little bother became a "petit chanteur de la Croix de Bois". Understand he sang in a choir, popular then, in Toulouse. Cousin Firmin was the most fascinating person to me. He was a hermit living alone in the rocky "causse" near Montricoux. He made his own electric power, had a radio "a galene", a stone that picked up the radio waves when hooked to a long wire. He could split up huge fallen trees using explosives. When he did we had to stay in the house because the pieces would fly in the air. He wolud drill a hole in the tree trunck with a manual drill, set the explosive and run hide. And caboum, it sounded like thunder. One day he discovered the Bible. We helped him understand his need of Jesus and I helped him pray the sinner's prayer. When he grew very old my dad invited him to live with us on the farm instead of going to a hospital or stay alone. He wore a large beret and had a long mustache. When he ate his soup, it looked like his head was in the plate because he was short. Wen you live in an isolated farm in the middle of the woods in the 1950s, there is not much distraction for children.But I do not recall having ever been bored. The human mind of a child finds everything and anything of interest. One person that fascinated me was our hired hand. He lived on the farm with us and was a jack of all trades master of none. He fed the cattle, cleaned the stable, helped in the fields. He ate his meals at the family table and slept in an old room with a fire place. Later on that room became mine although I had to share it with other occasional hired hands, I enjoyed "Vaillant's" company. He was slow, took his time and that worked well for me. "Vaillant", meaning hard workker, was the nick name my grand father had sarcastically given him because in my grand father's understanding he did not work much. But I was on the poor man's side, talking to him, encouraging him my way. What a sad day when he left due to age and ended up his days in the "hospice" in Nègrepelisse.